I’m sitting in the Dubai airport with 4 more hours until we take off for Uganda. We’re currently sprawled across the floor, somewhat delirious, and singing One Direction. 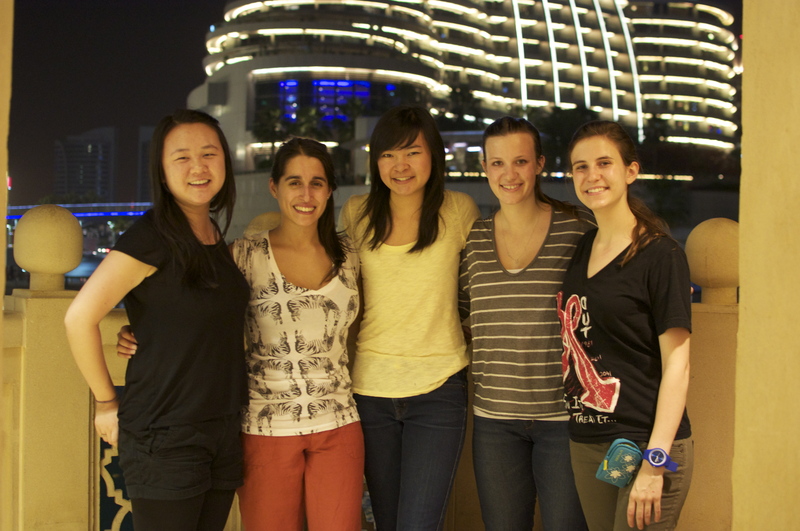 After craning our necks for 12 hours, Lillian, Lexa, Nicole, Katelyn and I landed in Dubai. We spontaneously decided to go on a little adventure into the city during our 10 hour layover, and hopped in a Pink Lady cab to go to the Dubai Mall. The van was pink. So was the lady cab driver’s outfit. Sweet ride. We devoured what felt like our fifth dinner at the mall’s food court — we’ve been awake for so long — and walked past the indoor aquarium, starlight ceilings, and indoor waterfalls. Most of the shops are what you’d find in any major mall. There’s even a Magnolia here. In the middle of the night, we stood in the 100 degree weather and gazed at the light show outside. The tallest building in the world (what?!? ), Burj Khalifa, twinkled above us. This place doesn’t feel real; it’s like a cross between Las Vegas and Disneyland. We snuck into this super fancy hotel, totally underdressed, and just walked around like we owned the place so we could sit on their fluffy couches/steal their wifi. 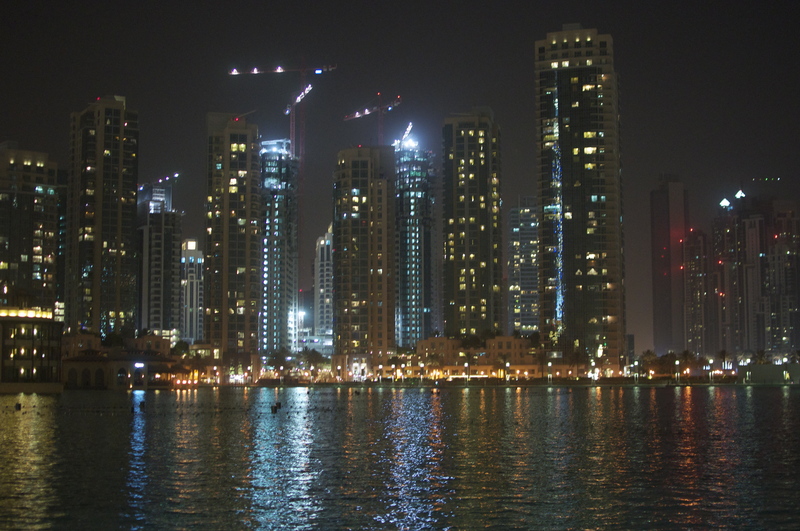 Dubai feels like the exact opposite of Uganda. It shines, sparkles, smells of cologne and hookah. I can see my reflection on every spotless surface around me. These are the juxtapositions that help paint the reality of the vast inequality we have created for ourselves. This is today’s world. → what am I doing in uganda?